The Academy is a place where the spirit is moved. It is unique and poetic, a space of heart and learning. It is a building embraced by light, bred by children’s character and in harmony with the environment and its hallways are filled with dreamers and creatives. Coming into the Academy, one immediately notices the light from the expansive windows and the warmth and safety of the environment. Student work permeates the hallways and classrooms, while a secure, enclosed central courtyard enables students to have lunch or to work with their peers on class projects. A full greenhouse provides students with the means to grow plants and flowers that embellish the campus while they study botany. An enclosed indoor play area, complete with rubberized flooring, provides young students the opportunity for play and recess, even during inclement weather. The central air conditioning in the Assembly and computer lab provides comfort, even during extreme temperatures. Space is viewed in a unique manner at the Academy. Many classrooms are sized between eight hundred to over one thousand square feet. The central assembly and computer lab are areas that provide a focus for “real world” exploration and project-based learning activities similar to those found in the workplace. The location of the Academy permits easy access to the Fire Island National Seashore, museums, and other resources of Long Island and New York City. Books constitute capital as Thomas Jefferson said. A library book lasts as long as a house, for hundreds of year, it is not, then, an article of mere consumption but fairly of capital. Our Library is the birth of ideas where our students see their names on the card catalogs of the future books. We at Bridges believe music teaches what we can’t say in words. It is a higher stage of life, of wisdom and understanding. Our Music room is filled with instruments that reach the soul. Pianos, violins, guitars, drums, flutes, and many other instruments help our students in their journey to learn and delight. Dan Gable said gold medals are not made of gold, but of sweat, determination, and a hard-to-find alloy called guts. Our gym is a place where we engage student determination and commitment, where we build team wellness and oneness. Sports like track, basketball, soccer, volleyball, will take place at our gym while other sports like sailing, swimming and golf will be hosted at our partner facilities. At Bridges we expect our students to be contributors to technology and innovation and not only the consumers. We have an innovative curriculum around programming, computer science and artificial intelligence. 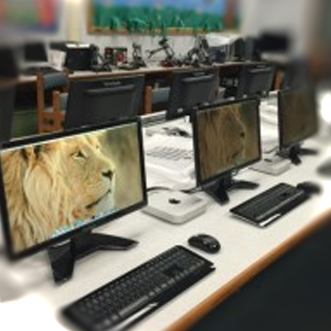 The school is equipped with the state of the art technology for all grade levels to use. Each classroom is equipped with Smart Boards. There is a full computer lab for training and iPads that are used by all grades and classes for learning. Bridges has introduced the Sea Perch program, engineering days. The Academy has also partnered with the Russian School of Mathematics to bring this award-wining Math program to the students as an after-school club. 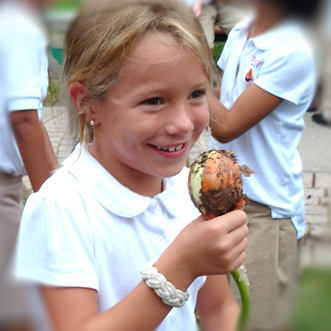 At Bridges we believe healthy eating and activity can positively influence a child’s health. We offer options for a healthier school lunch program, giving students diverse choices from bringing lunch from home or joining our lunch program. We are excited to announce our new partnership with MyFoodDays.com. Parents are now are able to pre-order and pre-pay for their child’s school lunch using the convenience of this online service! This arrangement will allow parents to order lunches for the week or even for the month. At our green house, our children’s soul and mind blossoms. They learn about nature and assume the responsibility of turning the grey world to the green world. Climate change is a global. It is only through taking responsibility for the environment and playing an active role that we can stop its harmful impact. Our green house is an organic, environmentally-friendly space where our students will delight to feel their bare hands touch the earth and grow flowers and plants. Dreaming of the next big thing in a space that embraces our students – that is the place we call our class rooms, a physical space to collaborate and discover. Our classes are equipped with computers, smart boards and books. But the most precious thing in our classes are our students and their hunger to learn and grow and be challenged. Children are natural scientists and love experiments. Our science lab encourages students to explore scientific concepts and reinforce skills through measurement and observation. Our students are open to stop and look at things that others have not bothered to see. It is on our stage that they break out of established patterns to see things in a different way and create. Our Drama program is designed to tap into the capabilities and extraordinary energies of every student. A child’s play is his work and his toys are his words. we believe the student’s development is greatly dependent on his/her ability to use all senses and experience the work around them. Our indoor playground allows students to have both learning and activity at recess especially on those cold and rainy days where they can not use the outdoor playground and field. Children explore their physical and social world through play. Our students have access to a beautiful outdoor playground and sports field to play. Our field is perfect place for track, soccer, and many other sports. Our location permits easy access to the Fire Island National Seashore, museums, and other resources of Long Island and easy access to New York City.